We all want our pets to live happy, healthy, long lives but what’s a simple way of doing this? Well, a great start is to spend the time to work out what the right food is for your pet as an individual. As the saying goes ‘you are what you eat’ and knowledge around what you are actually feeding your pet converts to enhancing their optimal wellbeing. Start by looking at the ingredients list on the back of the pack. The best nutrition comes from foods that contain no added artificial ingredients (preservatives and colourings) and have named quality ingredients that are easier to digest (& obtain nutrients from). A formulation to suit your pet’s natural digestive requirements is equally important e.g. 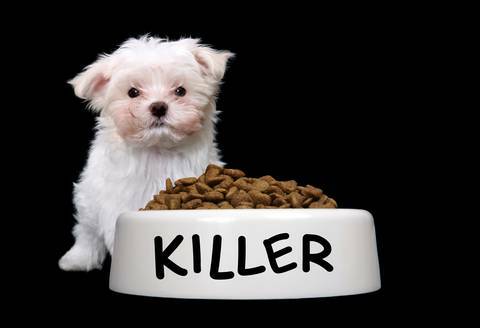 high meat content for cats & meat as a primary ingredient for dogs (NOT high grain content). Try Our Sample Selection of Premium Dog Foods - 5 simple Questions! The ingredient list reads from what is present in the highest amount to the least amount. Lesser quality foods will be made with more inexpensive ingredients– typically using meat by-products (including intestines, lungs, beaks, feet, etc. ), grain or grain by-products as main source of protein and may have artificial flavouring to help boost the palatability. These diets are harder to digest & get nutrients from, and therefore you have to feed a lot more cup for cup. I definitely find my patients fed on a diet that agrees with them have less skin, gut, liver and pancreatic issues(diabetes and pancreatitis). Joint pain associated with arthritis also appears to be less. These diets are often highly palatable, as your pet feels better on them, so they are happy to eat them day in day out. If my patient has itchy skin, eats grass, vomits a lot or has inconsistent bowel motions the things I like to avoid are wheat, corn, soy and gluten. I’ll also cut out beef and chicken proteins working with a novel protein or trial hypoallergenic diet until they are feeling better. You’d better believe economy foods can cost a lot more in the long run. When we compared the most popular supermarket brand to one of our favourite diets we found dollar for dollar (because you feed a lot less) pets up to 11kg cost the same to feed on a daily basis, and over 22kg dogs we found it’s actually cheaper to feed a better quality diet. That sounds crazy-right? That, along with the benefit of less vet visits; necessary due to diarrhoea or vomiting episodes, constant scratching or generalised ill thrift, this is surely enough reason to spend a few minutes checking the back of a packet or asking us for some advice on what is the right diet for your four legged friend. Get Your Free Dog Food Sample Now - 5 easy Questions!